Halloween wouldn't be the same without tasty treats! 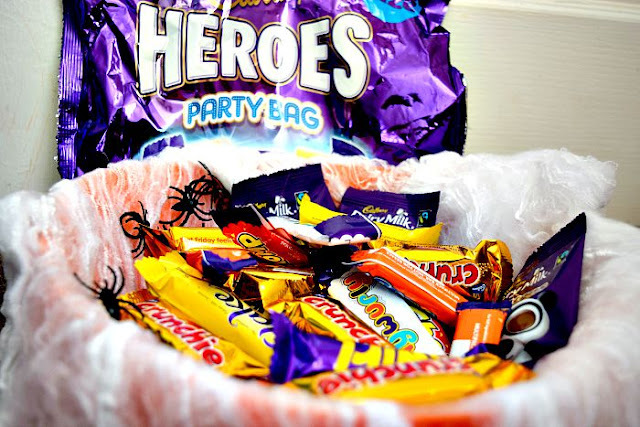 Whether it is food to dine on for your ghoulish party or sweets and treats for the neighbourhood kids. Here I have a few personal suggestions for this Halloween. Cadbury's is a household favourite here. We all have different favourites, which is great when we get a mixed bag and saves arguments! We think the big party bags are great for trick or treaters as if we don't have a busy night with kids knocking, we are more than happy to finish them all off! They have a large selection (around 40 items in each bag) of different Cadbury's favourites in the bag so you can't go wrong. They also do slightly smaller multi-pack bags which aren't mixed. 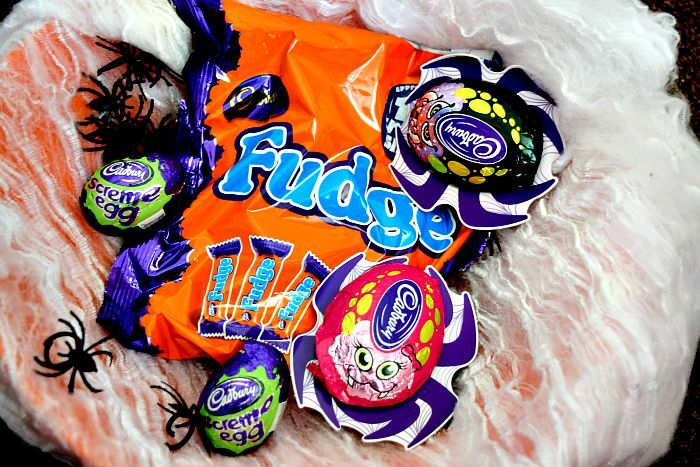 Gracie loves Cadbury's Fudge, it is her absolute favourite chocolate so the Fudge bags are always a win! I have to say I love the special single chocolates like the Screme Eggs! I always look forward to a Creme Egg at Easter and Screme Egg at Halloween, I know it is a love/hate product but I am firmly in the love camp. The Screme Egg is a great spooky treat with its freaky looking goo. The crunchy spiders are another great spooky treat, the scary packaging is perfect for setting a Halloween party table with the added surprise of a tasty treat underneath. 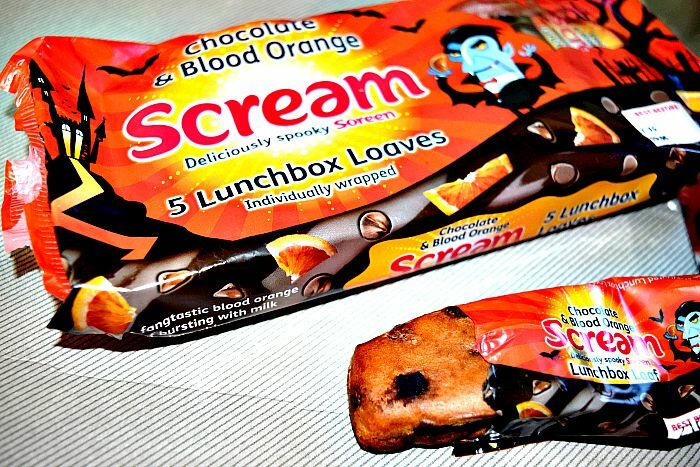 These Soreen lunchbox loaves would be great for a kids (or adult) Halloween party. Or even for Halloween themed lunch boxes at school. They do two tasty flavours; Toffee Apple or Chocolate & Blood Orange. I have taste tested these myself and they are delicious. I have to say the chocolate & blood orange is my favourite out of the two, but I would buy both flavours again myself. Each little bar is individually wrapped for freshness and has that well known Soreen taste and texture with yummy added flavour. The packs have a RRP of £1.35 each and are available to buy at Tesco, Asda and Morrisons. Chewits always bring back fond memories for me. 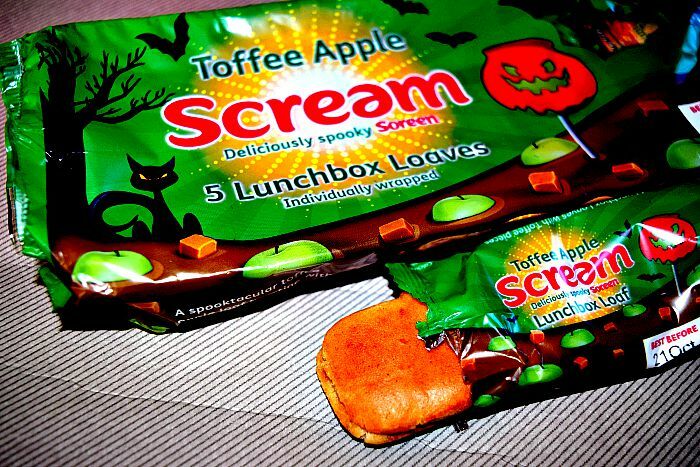 I loved the sweets as a kid especially the ice cream and Xtreme sour apple flavours. 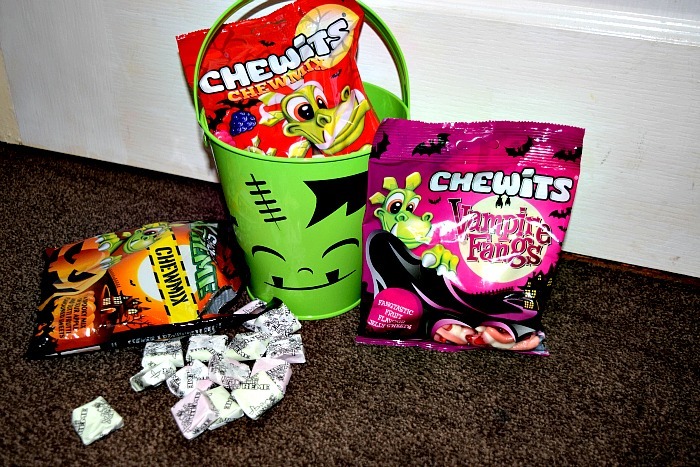 Chewits have some special Halloween treats available; Chewits Chewmix containing a random mix of fruity flavours. Xtreme Chewmix containing sour apple and tutti frutti flavours and Chewits Vampire Fangs. They are great to stick in a bowl for trick or treaters or to include in goody bags made up for any party goers. Or if you are like me, they are perfect for eating at night before Halloween and whilst the kids are in bed!! It is so easy to over indulge on sweet treats over Halloween. 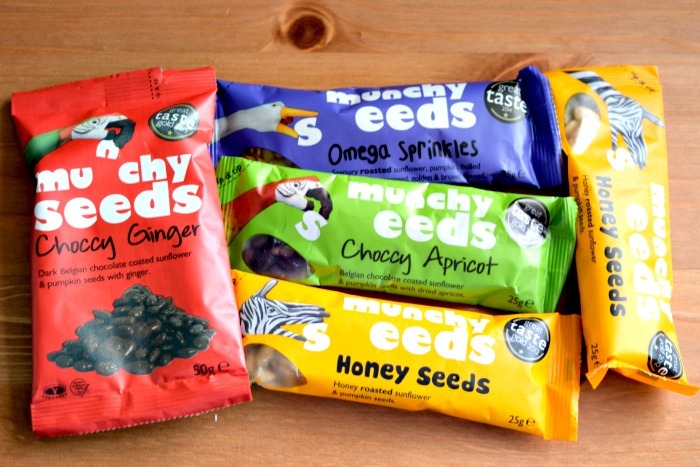 Munchy Seeds are a great idea to feed your kids a healthy treat and there are so many things you could do with them. mix them with yoghurt or even dip a banana in yoghurt and sprinkle with some Munchy Seeds for a sweet and crunchy taste. You could even use them to bake some nice cakes or muffins! We were sent a selection to try including Omega Sprinkles, Choccy Apricot, Honey Seeds and Choccy Ginger. The Choccy Ginger and Choccy Apricot are so tasty straight out of the packet. Zach especially likes the Choccy Ginger as it is dairy free so he can actually eat them. They make great handbag or lunchbox snacks too. Munchy Seeds are available at Sainsbury's with a RRP of £0.69 to £2.35 and they come in sachets or tubs. 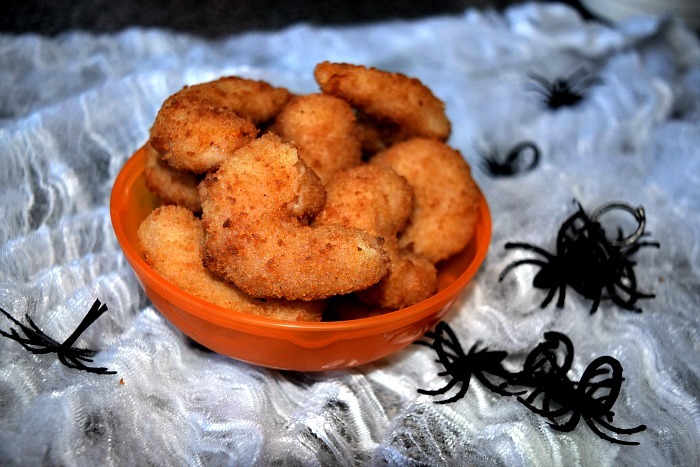 Whitby seafoods are famous for their delicious scampi, but they also produce 'hot and spicy prawns', a fiery alternative perfect for a Halloween feast. They are quick and easy to cook, and they really are spicy tasting! I thought they were delicious but Andy hates spicy food and so wasn't a fan! If you love spicy foods then these would make the perfect buffet food, if not you could always opt for the scampi or my personal favourite, lemon & pepper goujons. They have a great serving suggestion on their website along with tips for all their other great products. You can see them here.